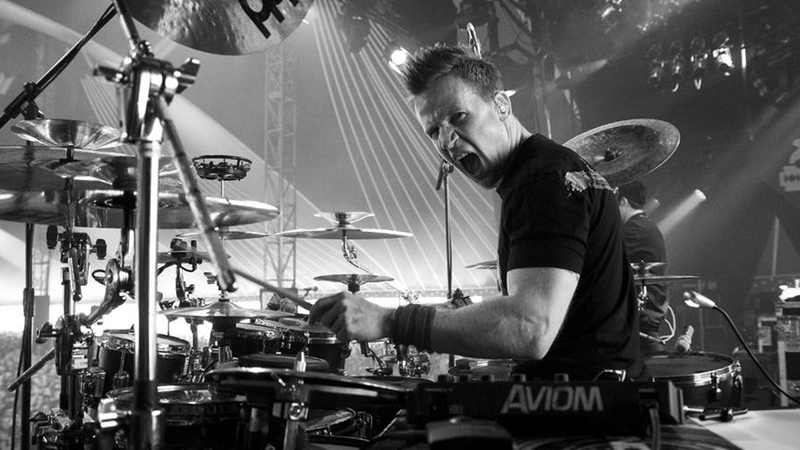 Whether you know him from Pendulum, Destroid, or, simply from being one of the most badass musicians in the game, there's no denying that KJ Sawka is an absolute beast on the drums. The Seattle native's productions sound like they came from another planet, one where bass is the only language spoken by its native people. Using an acoustic drumset to replicate the intricacies of electronic music, Sawka has created a genre all his own. Since linking back up to tour with Pendulum earlier this year, the multi-instrumentalist will once again be breaking away from the pack, embarking on his own US tour in support of his latest EP, Unity of Purpose. Kicking off on October 28 at Nightmare Festival in Darlington, Maryland, the run will take him through cities like Pontiac, Jacksonville, Philly, and Dallas before wrapping in Austin on December 9. To get a feel for the influences who made Sawka the musician he is today, we wanted to find out what artists made his concert bucket list. From Phil Collins to Adele, check out his picks below, then make sure to Track him on Bandsintown to get notified when he'll be coming to your city! "Phil is my all-time greatest influence on drumming and songwriting. I'd love to see him and his band live." "They've been an influence for decades for me. I saw them very briefly at Orion Festival a few years ago when our band Destroid played. Didn't get a chance to meet them or see the full set that time." "Rush and Neil Peart's drumming is another all-time massive influence on my music and drumming. I'd love to see them at least once." "I've been a fan since they got their start. They've fused songwriting, rock, and technology so well, and cut deep into the pop world. I'd love to see what that bring to a live show." "She's probably my favorite singer of the last decade. She can evoke emotion through her voice and lyrics like no other."